wild pig and much more. Originated as a result of an earthquake or a flood, the Palak lake is located in the Lakher region of Chhimtuipui district of Mizoram. The picturesque lake is encircled by tropical evergreen and moist deciduous forests. The plant species found here are Dipterocarpus sp., Michelia sp., Schina Wallichin, Mesua ferrea, Chikrassia tabularies, cedrella tonna, Albizzia sp., Termemalia sp., Lagerstromia sp., Biscofia Javamica, Ficus sp., Artocarpus sp., Tetrameles nudiflore, cane and bamboo. The lake is 200 m long and 150 m wide. Here you will get an opportunity to see beautiful aquatic birds. Once an abode of a large number of partridges, Rungdil lake is located 14 km from Suangpuilawn village in Aizwal district. 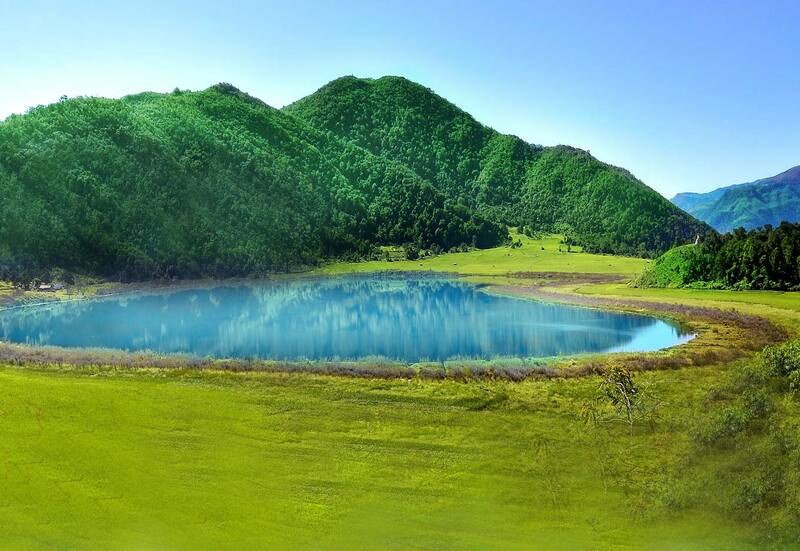 Covering an area of 2.5 ha., Rungdil lake consists of two lakes separated by a narrow strip of land. The two lakes are said to have a subterranean connection. The surroundings of the lake are dotted with the same flora as the other lakes in the state. In contrast with the other lakes, this lake is an artificial lake located in the Aizawl district of Mizoram. It is a beautiful lake which attracts many a tourists.